The King City Monthly Musical will welcome the Lake Oswego Millennium Classical Quintet at 10:30 a.m. Monday, May 14. 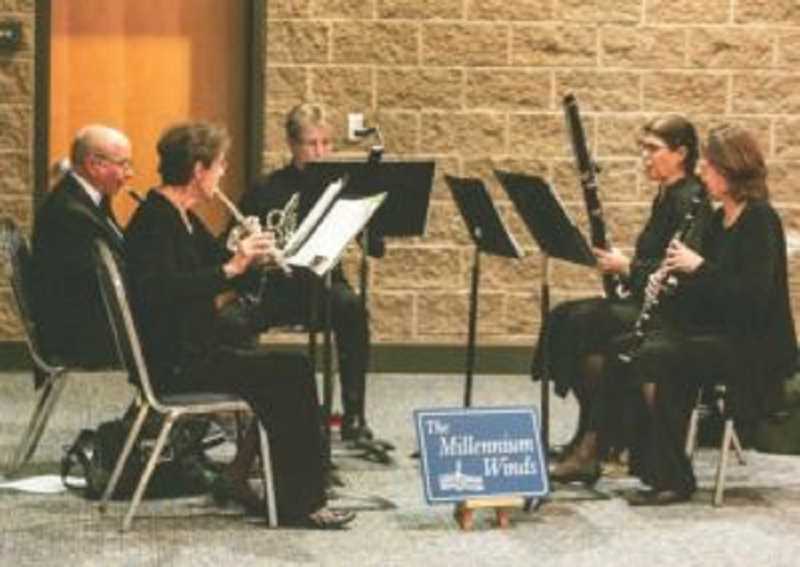 Millennium Winds is a quintet with the traditional instrumentation of flute, oboe, clarinet, bassoon and French horn. This group has been playing together for more than 12 years, performing several styles of music, with the majority of the numbers being classical chamber music. Two of the selections they will perform are "La Cheminee Du Roi Rene" (The Chimney of King Rene Suite) by Darius Milhaud and "Folk Suite for Woodwind Quintet" by Karen Gorton. The group includes Georganne Wicklund on the flute, Steve Gance on the oboe, Lea Anne Bantsari on the clarinet, Susan Friesen on the horn and Gloria Handy on the bassoon. They are extremely accomplished, highly professional and personable musicians who interact well with the audience. These concerts are free to the public courtesy of Columbia State Bank and the King City Civic Association. As is customary, we will honor birthdays and anniversaries as well as sell raffle tickets for $1 with the chance to win $5 or $10 in the drawings. Refreshments will be provided following the performance by Heather, a representative of Avamere. If you happen to have an opportunity to see any of the board members or bank officials, give them a big "thank you" for providing these wonderful programs for us. Hope to see you there!